Abstract—In this paper, the finite element method is used to analyze the temperature distribution on the rotor based on the model as the axial symmetrical 2-dimensional steady state. But the effects of the inner radiation and the convection heat transfer in the rotor have not been included. The calculated values are in good agreement with the test values. Index Terms—Finite element method, temperature distribution, centrifuge rotor, numerical analysis. Ran Bo and Guo Zixue are with the Institute of Physical and Chemical Engineering, Tianjin, China (e-mail: guozx605@139.com, danb03@163.com). 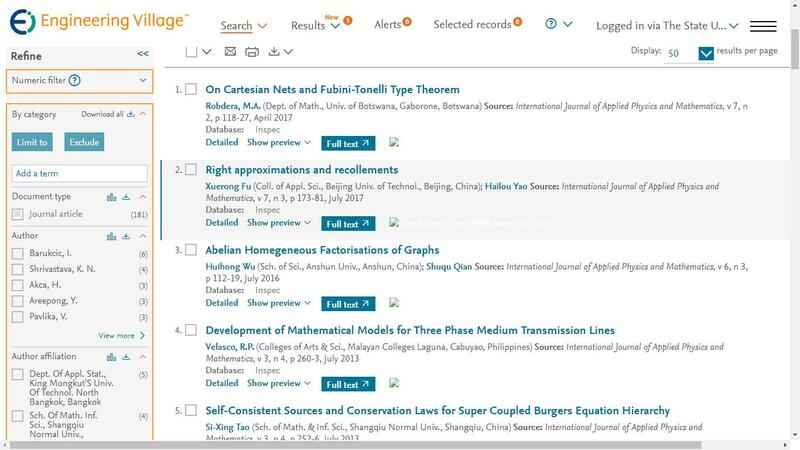 Cite:Ran Bo, Guo Zixue, Xie Quanxin, and Zhou Bo, "Numerical Analysis of the Temperature Distribution of the Rotor," International Journal of Applied Physics and Mathematics vol. 3, no. 4, pp. 257-259, 2013.